“I would have smacked the hell out of him…No question about it.” Quoted in an interview with Jim Rome, Kobe Bryant gave his reaction to the scandal involving player abuse at Rice University. Why was Bryant, a 34 year-old NBA veteran who jumped straight from high school to the pros, asked about how he would have reacted at a small university to questionable practice tactics? Just as Jerry West became the logo for the NBA, Bryant has become its face, the go-to source for everything basketball. He is the sports ambassador and his voice carries weight, whether he has experience in the situation or not. This is why Jim Rome, a respected analyst who takes sports commentary seriously in an age of ESPN “what-Tiger-Woods-had-for-dinner” reporting, asked the Mamba for his thoughts. Kobe was not always viewed with this level of respect. In 2003 Bryant lost public standing, and contracts with McDonald’s and Sprite, in the midst of a sexual assault investigation regarding a young hotel employee. At the same time, Bryant’s feud with Shaquille O’Neal gained attention, resulting in the splitting of a dynasty in its youth. Bryant did what it takes to regain the approval of American fans: win and win big. It’s not just the two championships in 2009 and 2010 or the best basketball ever played by a 30+ year-old not named Jordan. 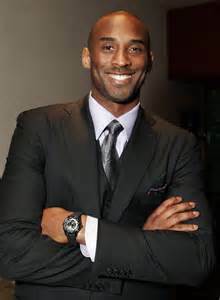 Kobe wanted the respect back, and it is well documented that his work ethic and drive are unmatched, as he has played through broken fingers, sprained ankles, stress fractures, and a variety of other injuries. Ultimately, Bryant embodies the American ideal. He is the concept of hard work and self-improvement, the power of mind over obstacles. For these and other reasons, we turn to Bryant for answers; after all, he’s earned it.